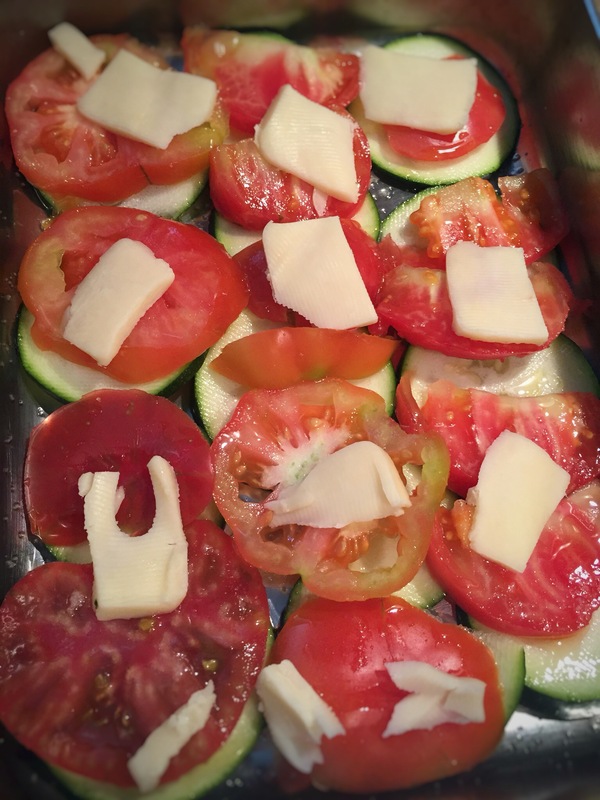 With the latest zucchini and tomatoes from my garden here comes a good recipe! 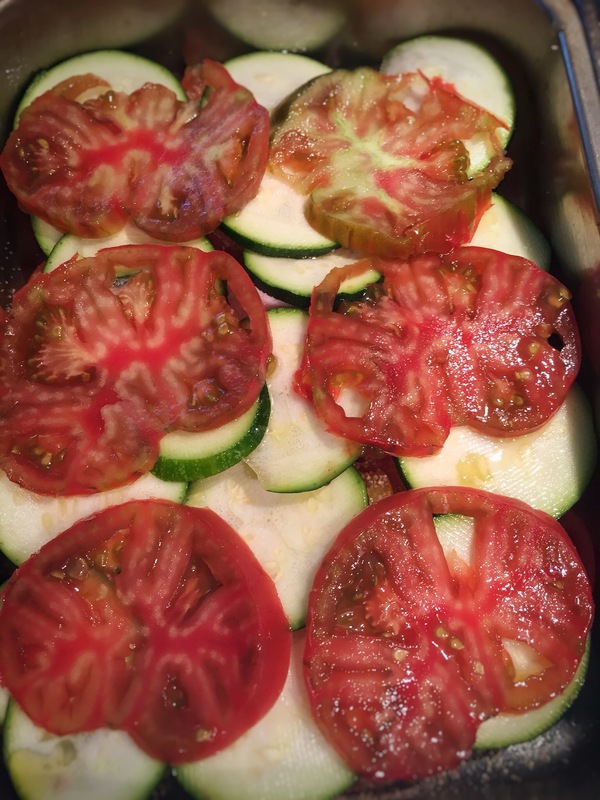 Wash and cut the zucchini and tomatoes washers. In a baking dish from oven sprinkle about a tablespoon of olive oil. Forming a first layer of zucchini and a second layer of tomatoes. Add the cheese cut into small pieces. Continue to form the layers until the pan and ‘full. The last layer of zucchini add the breadcrumbs and a drizzle of oil. Put into the oven at 400 ° F for 45 min.